Ant-mimicking longhorn beetle (Cerambycidae) covered with mites hangs onto a blade of grass. 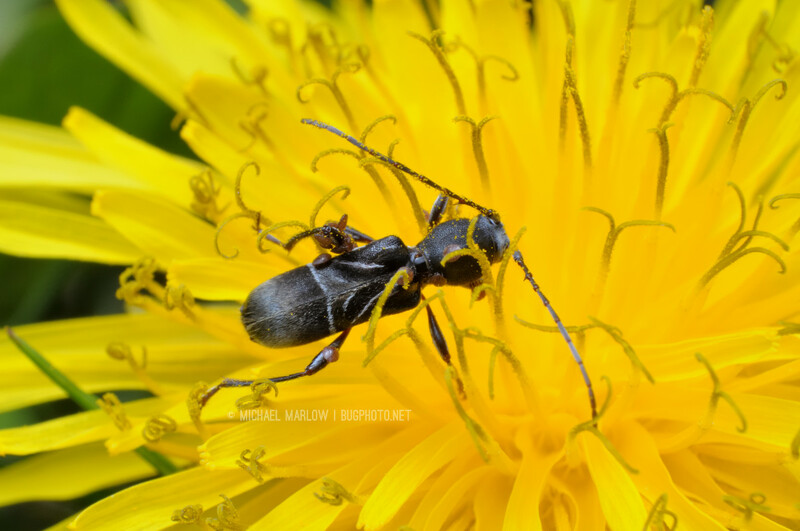 Ant-mimicking longhorn beetle (Cerambycidae) covered with mites walks over a bright yellow dandelion blossom. 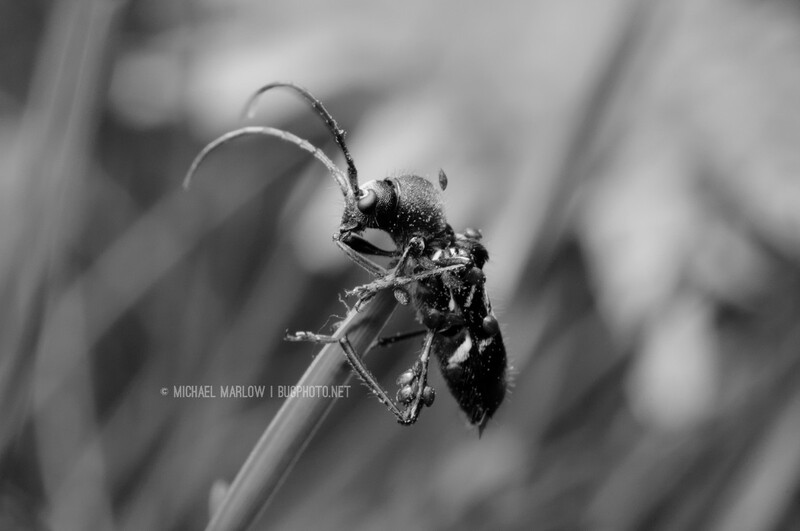 Posted in Longhorn BeetlesTagged Anaglyptini, ant mimic, beetle, black and white photography, Cerambycidae, insect photography, longhorn beetle, Macro Photography, macrophotography, mite, monochrome, phoresyBookmark the permalink.